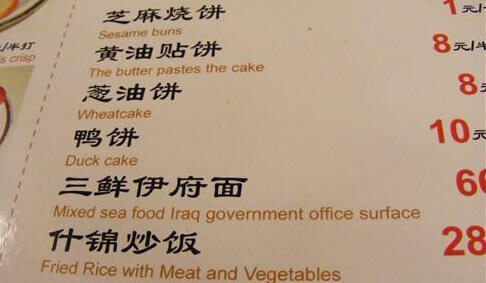 In many countries, but seemingly mostly in China, we have found on our travels, many very bizarre items. 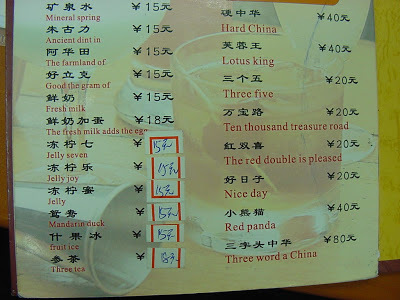 Often they’re fairly ordinary, it is just the English translations that raise eyebrows. 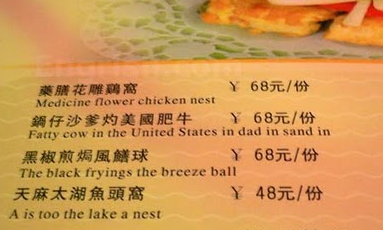 So here are some of the best we’ve seen. 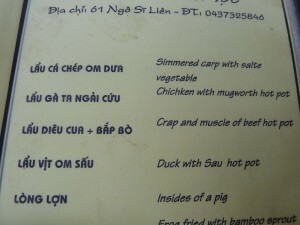 How about some crap and muscle? 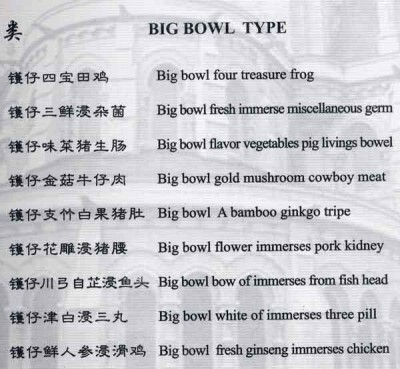 Just love the big bowl menu! 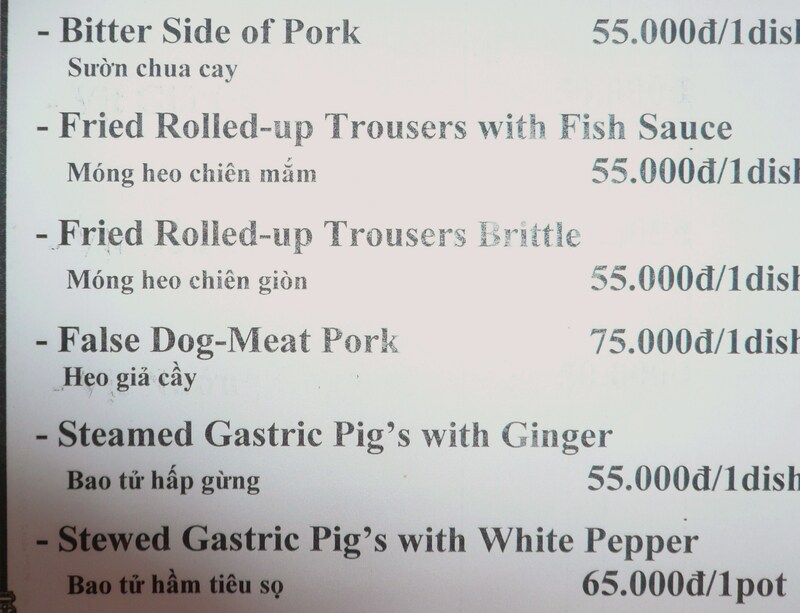 Anyone for false dog meat? 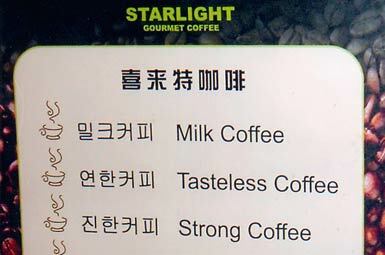 And to end your meal, how can you resist tasteless coffee? Next time, we’ll look at bathroom humor. 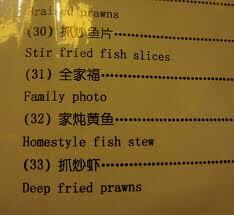 Just can’t help ourselves.